How do you know who can see what records if your Organizational Wide Defaults are set to “Private for an Object? If the Object’s OWDs are set to “Private” then records for that object will have a “Sharing” button at the top of the record. If you click on that button you’ll see who can see that record and why (sharing rule, group, role hierarchy, manual share etc). 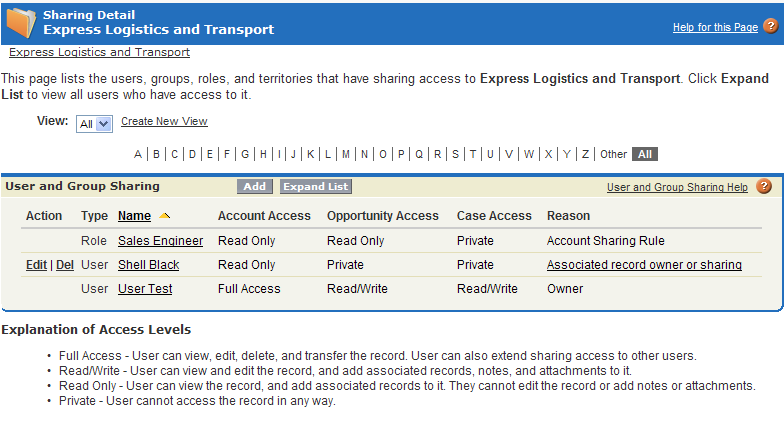 Additionally you can log in as a User and do some searching to see what records can be found by that individual.